Multi Repurposing is something you should read. 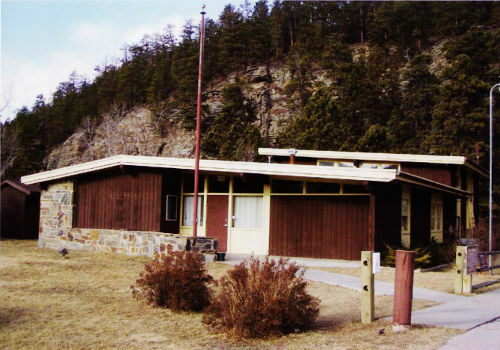 This article in the fall 2012 edition of Architecture SD by Peggy Sanders describes the "Multi-Repurposing" of a good building in a great location that became the home of the Civilian Conservation Corps (CCC) Museum of South Dakota as well as that of other Black Hills organization and enterprises. A former U.S. Forest Service building was purchased by the City of Hill City in 2005. Renovations were begun in 2008. Within the 3,000-square-foot building every inch of space is used, yet the arrangement gives a sense of spaciousness. When used as a Forest Service office, tongue-and-groove pine siding lined the interior walls. As partition walls were removed to open up the space, the siding was carefully removed and later reinstalled. Rushmore Forest Products, through it's sawmill in Hill City, donated enough new tongue-and-groove siding to complete the project. Built-in advertising cubicles add color and decorative elements while highlighting area businesses. Less noticed until the utility bill comes were new electrical wiring and additional insulation, enhancements to the functional aspects. The two original bathrooms were made handicapped accessible but kept on a small scale. Door closing-activated sensor lights and low-flow faucets and toilets were put in. Limited access to restrooms only through the building's "back door" allows use while offices are closed. The structure sits on 12 acres outside of Hill City, and the nearby picnic tables and creek make restroom access desirable. Bums said, "The roof structure didn't allow for new lighting installation, and new track lighting was used throughout to keep the ceiling intact." The most obvious improvements were to the exterior. Original windows were retained; new soffits and fascia were installed. A new roof was to be a necessity. To modernize the exterior and bring it more in line with the surrounding landscape, the building colors were changed and a copper-colored roof was chosen. J. Scull Construction of Rapid City won the bid process with the finished project cost of about $140,000. The tri-split-Ievel building houses an office of the Pennington County Sheriff on the main floor along with the restrooms, furnace room, two Hill City Area Chamber and Visitor Center offices and a welcoming reception area. The Chamber leases 1,800 square feet of space in the city-owned building. Photos, storyboards, and original artifacts detail Civilian Conservation Corps' history in South Dakota. At the same time the accommodations became available, a group of CCC enthusiasts were looking at potential sites for a museum. 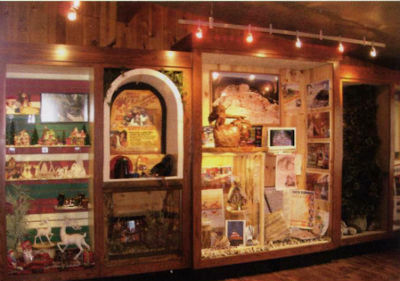 They made a "wish list" for a museum location, which included: a Black Hills town that is open all year, not just seasonally; a town near the old CCC camps; and a building that was already staffed. Hill City came in first in all categories. 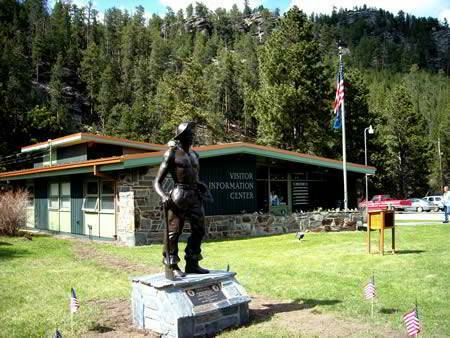 Museum president Jay Hendrickson, a CCC man himself, had his eye on the location because the landscape itself evoked a sense of place, that of a Civilian Conservation Corps camp in the Black Hills. The museum keeps the same hours as the Hill City Chamber and their workers graciously open and close the museum. Hendrickson said, "We CCCers are grateful this segment of history is being featured and we are honored." 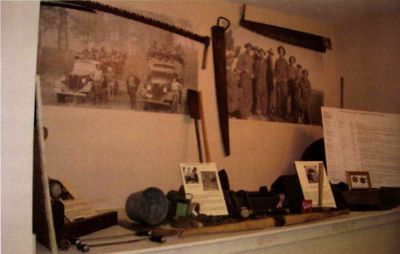 The Hill City Visitor Information Center was formally opened on November 1, 2008, and the South Dakota Civilian Conservation Corps Museum on May 16, 2009. Under way is a landscape study that will lead to a master plan being developed by South Dakota State University Professor Martin Maca and 12 seniors majoring in landscape architecture at South Dakota State University. 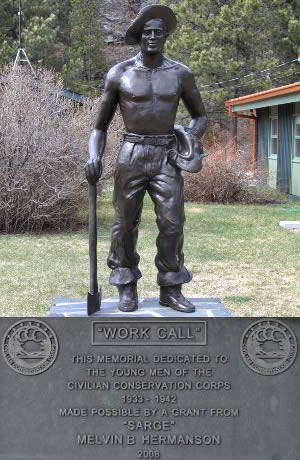 PEGGY SANDERS is the author of The Civilian Conservation Corps In and Around the Black Hills, Wind Cave National Park: The First 100 Years, and three additional vintage photo histories, all published by Arcadia Publishing. She is part of a six-generation Fall River County farm and ranch family. Peggy's college years included a year at the Sorbonne University in Paris, France. She is a national award-winning columnist who can be reached through www.peggysanders.com. Regenerating a building by modifying someone else's creation into a new form and function, under restrictions of a tight budget, were the hurdles.